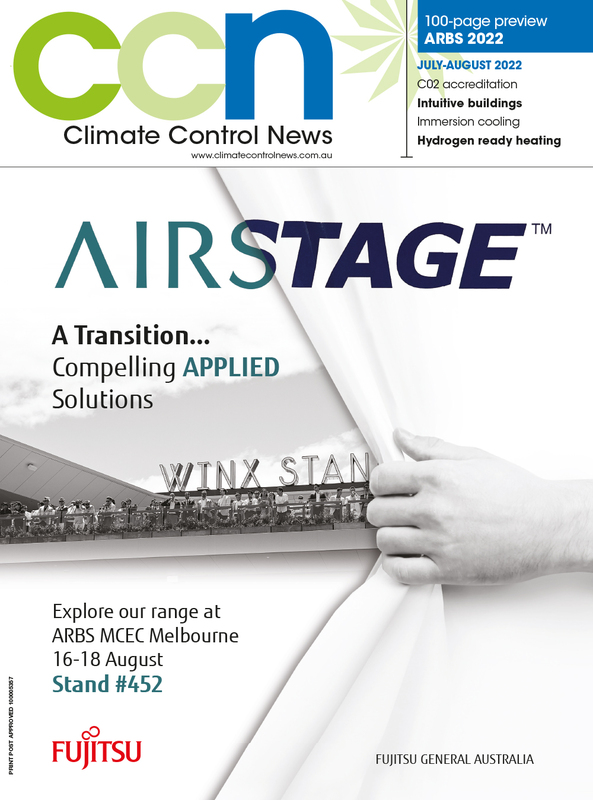 Airefrig Australia continued its ongoing relationship with ARBS, putting on its largest display at the 2018 exhibition. The national wholesaler featured its Enthalpy Condensing Unit range on the stand at this year’s show. These units, assembled in Australia, featured Airefrig’s new flagship 25hp and 30hp units from the TD range. These new units utilise ebm-papst EC fans, are powered by Bitzer compressors and run by Carel controllers. As with all Enthalpy units, the coils feature a Supercoat condenser treatment and are salt spray tested to 5000 hours. Enthalpy unit cases are powder-coated and the swing doors are designed to provide easy service access. Along with the latest Danfoss Optyma range of condensing units also on display at ARBS, Airefrig models are finding growth in supermarkets and liquor stores due to the energy efficiency, small footprint and close control needed in such facilities. Danfoss Optyma condensing units are exclusive to Airefrig and come in three versions: Slim Pack, Plus and Plus Inverter. This quality Danfoss range is only available through Airefrig where customers can now source all three generations of the Optyma range at Airefrig branches nationally. The company’s general manager, Stephen Cross noted there was strong market interest shown during ARBS. Entering its 48th year of operation, Airefrig recently opened a new branch in Wingfield, South Australia. The Wingfield operation replaced the previous SA branch at Regency Park and Cross was proud to confirm this new branch represents the largest refrigeration and air conditioning wholesale outlet in the state. Cross himself has been at Airefrig for 20 years and noted the company’s continued commitment to expansion demonstrated the integrity of the brand. At ARBS the Airefrig stand featured its broad range of globally recognised brands including: Bitzer, Carel, Danfoss and ebm-papst. These brands sit alongside its exclusive range of Cubigel compressors and condensing units, Aeroflex insulation and Insuguard pipe hangers. The Airefrig stand also featured the latest in refrigerant recovery options from A-Gas Australia as well as interactive tool demonstrations from CPS.